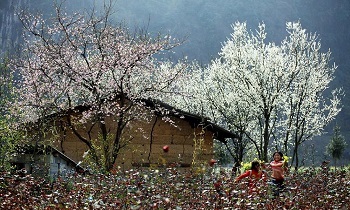 Set in an idyllic valley, hemmed in by hills, the Mai Chau area is a world away from Hanoi's hustle. 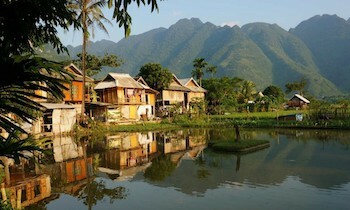 The small town of Mai Chau itself is unappealing, but just outside the patchwork of rice fields rolls out, speckled by tiny Thai villages where visitors doss down for the night in traditional stilt houses and wake up to a rural soundtrack defined by gurgling irrigation streams and birdsong. 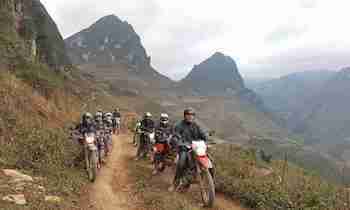 With Mai Chau valley tours, you will enjoy this beauty. What do you know about Mo Luong cave? 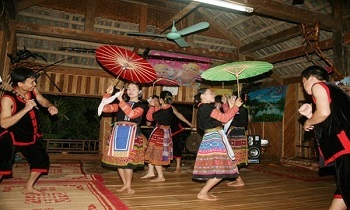 The villagers are mostly White Thai, distantly related to tribes in Thailand, Laos, and China. Most no longer wear traditional dress, but the Thai women are masterful weavers producing plenty of traditional-style textiles. Locals do not employ strong-arm sales tactics here: polite bargaining is the norm. 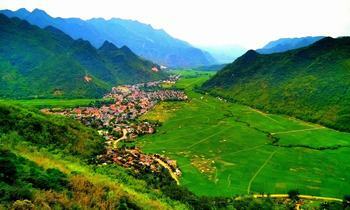 In Mai Chau valley, there are many beautiful landscapes, including Mo Luong Cave. The cave is famous for mysterious stalactites. Mo Luong Cave lies inside Pu Kha Mountain in Mai Chau town and Chieng Chau commune, Mai Chau district. The main entrance to the cave is in Mai Chau town and the subordinate entrance is along the water current in Chieng Chau commune. In the Thai language, Mo Luong means a big course of the stream; that is the course that originates from inside the cave running out to the field in the Chieng Chau direction and where people dug a pond to retain water and thus named it Mo Luong Pond. Previously named as Bo Luong Cave, Mo Luong means a big course of the stream in the Thai language. 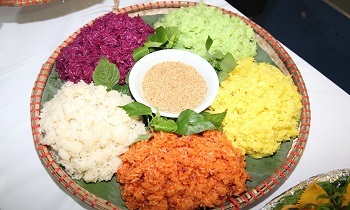 The stream is derived from the inside of Pu Kha mountain range and flow to nourish rice fields in the Chieng Chau direction where it is pooled into a reservoir named Mo Luong Lake. Mo Luong Cave is a natural cave inside Phu Kha mountain and through the process of water erosion, blocks of limestone were eroded and formed beautiful stalactites. It stretches over 500 meters and contains 4 caverns. The main one can hold up to 400-500 people. The rest of the cave requires some skills and fitness as a visitor would need to go through a tunnel and have some soft adventure experience. The first cave: this cave has a length of 60m, the width of 16m with its ceiling of 20m high. The cave floor was made of concrete and had drainage ditches around because, in the Vietnam-America war, this cave was used as a military arsenal. The space of the cave is as a large living room, on the ceiling and the two sides of the wall is a stalactite system which is so beautiful with many different shapes like decorative ceiling lights, paintings, colorful flowers. The second cave: This cave is about 10 meters higher than the first one when stepping into this cave, tourists will have the feeling like stepping into the wonderland of rocks. Two sides of the cave are the blocks of stalactites shaped like the fairies, buddhas, and beautiful clouds. Stepping into the cave, there is a gate with two sides are the two blocks of white stalactites which are like the strips of silk, in the middle is the stones shaped like the dragon mother hatching its eggs. Stepping deeper into the cave, the system of gorgeous stalactites are appealing as a natural exhibition. In the middle is the large block of stalactites which is the silk rolls waiting for the spinning man. Two sides of the walls are colorful stalactites which are extremely thick density with many layers of different shapes of stalactites. The third cave: the third cave is 7m lower than the first one. If you want to visit this cave, you must tilt yourself through the archway and then pass through a length of about 10m, you suddenly stunned when you see the white milk bowls on the stone floor, it is the water dripping from the stalactites above. Going inside, the cave is about 20m wide, the ceiling is about 20m high, the walls have small niches like lovely rooms. The stalactites let down on the side of the cliff like stone instruments when tapping, it makes different echoing sounds. 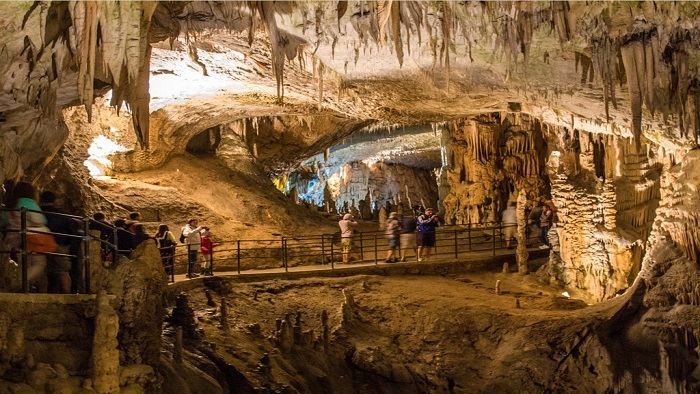 The fourth cave: There is a length of 15m, a width of 12m and a ceiling of 25m high. Especially in this cave, the stalactites sprout from the ground up with all shapes. Throughout the cave, there were countless stalactites with different shapes and sizes. The stalactite blocks blend and intertwine to create extremely vivid pictures. 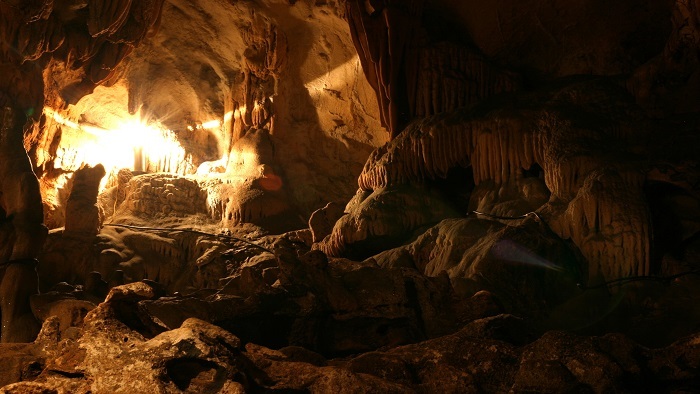 Other caves in the Mai Chau area that are well worth the visit include Pieng Kem Grotto, Khau Phuc Cave, and Lang Cave. Mo Luong Cave is one of the largest and most beautiful caves in Mai Chau area. If you come to Mai Chau in Mai Chau village tour, don’t forget to visit this cave. 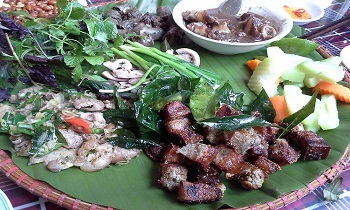 We hope that via this post, you will have an oversight before coming to Mai Chau. Please share this post if it is useful for you. Thank you!